The GRE Quantitative section tests four areas of pre-college math: Arithmetic, Algebra, Geometry, and Data Analysis. Not all four are tested equally. Some of these concepts come up more often, and some tend to be more difficult. 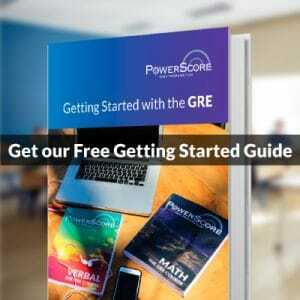 The frequency and difficulty of the “Big Four” on the GRE is probably similar to what’s seen in practice tests and exercises from ETS, maker of the GRE. After all, ETS has a reputation to maintain as a test prep provider, not just as a test developer. So an analysis of official practice materials should give you a good idea of what to expect on the exam. The Practice Book for the Paper-based GRE, 1st Ed. The Practice Book for the Paper-based GRE, 2nd Ed. The Official Guide to the GRE, 2nd Ed. Classify each practice question as arithmetic, algebra, geometry, or data analysis. Some questions fit two areas. Use the lists of math concepts in the official GRE Math Review and the Introduction to the Quantitative Reasoning Measure as guides. Solution explanations, when offered, may help you see what sort of math a question requires. Calculate the percentage of questions in each of the four main GRE math types. Rank each question by the percentage of test takers who answered correctly when the question appeared on a real exam. Only The Official Guide and the Practice Book report this info. Graph the distributions for each major math concept using percentile groups (deciles or quartiles). Analyze the peaks in each distribution. A peak to the right of the 50th percentile is a pile of questions that over half of test takers got right, whereas a peak to the left of the 50th percentile is a pile of questions that over half of test takers got wrong. For steps 1 and 2, I used all five official sources. For steps 3 and 4, I used only the Official Guide and the Practice Book. So, concept frequency is based on about 500 questions, whereas concept difficulty is based on only about 200. In each of the two 20-question Quant sections that wil determine your score, probably around 6 or 7 questions will focus on data analysis while another 5 or 6 emphasize arithmetic. Likely 4 or 5 will bring on the algebra and the remaining few will come heavy with the geometry. Of course, the “Big Four” are big, broad areas of math. 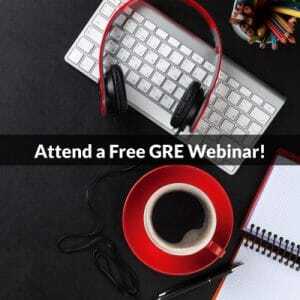 For instance, GRE data analysis includes 4 topics—statistics, data interpretation, probability, and counting—which together yield about 20 distinct subtopics. Some of these more specific types of math can be linked to some of the more difficult questions. Arithmetic questions skew toward the easier end of the difficulty spectrum. About 2 in 3 were answered correctly by over half of test takers. Ratios and percents (also found in some harder questions) were the most common topics. Unsurprisingly, algebra problems skew toward the harder end of the spectrum. About 1 in 2 were answered incorrectly by a majority of test takers. Rules of exponents came up most often in these tough questions. Data analysis questions also tend to challenge most GRE examinees. Here again about 1 in 2 questions were answered incorrectly by a majority of test takers. Data interpretation, statistics, and probability were the top three topics. Geometry problems follow a pretty even distribution of difficulty. The tougher problems tended to feature quadrilaterals or circles. When you’re preparing for GRE Quantitative, keep these frequency and difficulty data in mind. Be glad for the easier arithmetic questions, but also pay attention to how you’re doing on the more difficult ones. Algebra problems should sit high on your list of prep priorities given their tendency to stump lots of examinees. The same goes for data analysis questions, particularly ones that test statistics and probability. Make the weaknesses of most test takers your strengths and you’ll up your chances of earning a top score.